In 1982, almost ten years into the military dictatorship of General Augusto Pinochet, ex President of Chile Eduardo Frei Montalva died during a series of surgical interventions in the Santa Maria Clinic in the capital city of Santiago. From 1964 to 1970 Frei presided over a period of social and economic reforms, designed within the political framework of the Christian Democratic party and proclaimed as a revolucion en libertad, revolution in liberty; it was a sort of national socioeconomic awakening. It was during Frei’s government that many Americans, this author included, volunteered to work in Chile for two years or more to collaborate with development programs in agriculture, forestry, health, and education. Given the progressive, democratic nature of the Frei government, many of us came away from our Peace Corps service in Chile quite enamored by this charismatic, upright leader, and the democratic reform process he put in place. So, when Eduardo Frei died in 1982, even though by then most of us were immersed in our careers back home in the US, we felt the loss of a hero of sorts, a virtual connection to an exciting period of our lives. Of course, his death deeply affected Chileans, who en masse filed past his casket that rested in the Cathedral for three days. 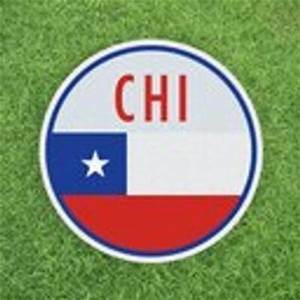 By this time, since his presidency, Chileans had lived through a three year period of socialist leadership under Salvador Allende, curtailed early (1973) by the violent coup d’etat of General Augusto Pinochet, and the consequent oppressive military dictatorship. By the time Frei died, he had become an outspoken adversary of the military dictatorship, although ten years earlier he and many of his political cohort had openly justified the overthrow of Allende’s Unidad Popular government. As time went on after the coup, it became increasingly clear that Pinochet was not going to simply turn the government back over to the prior political leaders, but was planning a long stay in power, including blatant abuse of human rights through imprisonment, torture, and disappearance of enemies of the regime. Pinochet’s secret police had carried out bold assassinations of Chilean opposition leaders Orlando Letelier in Washington and General Prats in Buenos Aires, and attempted to kill Christian Democrat leader Bernando Leighton in Rome. Opposition to the Pinochet regime was growing, and Eduardo Frei, who was never exiled by Pinochet like many of his colleagues, was finally speaking out and calling for an end to the military dictatorship. His was the one voice Chileans respected, and which the dictator surely feared most. Fast forward to the last week in January, 2019. Headlines in Santiago’s newspapers reported that the long awaited judicial finding of Judge Alejandro Madrid found that Eduardo Frei did not die in 1982 from clinical medical causes resulting from post operative complications, as the public record had claimed. Rather, the judge declared Eduardo Frei was assassinated, and he laid down proposed sentences for six persons he had actually charged with the crime ten years earlier. And as expected with politically charged legal proceedings, the determination exposed Chilean’s deep political divisions. It opened old wounds, and again clearly exposed the brutality of the Pinochet dictatorship. But it resolved very little regarding Frei Montalva’s death. For starters, judge Madrid (a sort of special prosecutor) had been investigating the case of Frei’s death for 16 years and three months. His investigation was begun and pushed along through the years by Eduardo Frei Montalva’s daughter, Carmen. 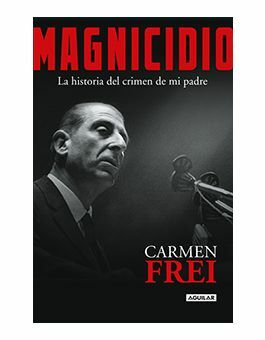 She was so convinced her father was assasinated by Pinochet’s murderous secret services, that she authored a book entitled “Magnicidio” which describes “the history of the crime against my father”. Madrid’s investigation began under a prior legal framework, in which a Judge in this case would act as investigator, judge, and jury. However, given the long passage of time since he began the case, the Chilean legal system has been reformed and the findings of Judge Madrid are not final but rather just the first instance of a potentially three step process. So, this could go on for some time. And from what I have been able to discern, time is not a good healer in Chile. Ten years ago, while investigating this and other legal cases, Judge Madrid became convinced Frei had been assassinated, probably poisoned, and that at least six individuals were involved in the plot. What seems to be the most serious case is that of the personal doctor (Silva) of Frei, who was accused of “simple homicide” with a sentence of ten years. Doctor Silva was a Frei confidant, undersecretary of health in Frei’s government. He was the doctor who was called to attend to Frei after the first operation resulted in runaway infection*, and who was the last doctor to operate on Frei in the Santa Maria Clinic prior to his death. The other three accused by Judge Madrid are three doctors; none was involved in the series of surgeries that led to Frei Montalva’s death. Instead, they were involved in post death preparation of Frei Montalva’s body, including preservation of organs and some type of analyses, maybe a type of autopsy. The accusation in these cases is that after the fact, and over the years, these doctors were involved in some degree of cover up and hiding of documentation and maybe preserved tissue and organs themselves. This aspect of the case brings the Catholic University into the picture, since these doctors were working for that institution. It’s not easy to sum up 800 plus pages of legal findings, even if you have read them, which I and obviously many others who have strong opinions have not done. But let me try, risking oversimplification and possible errors in interpretation. 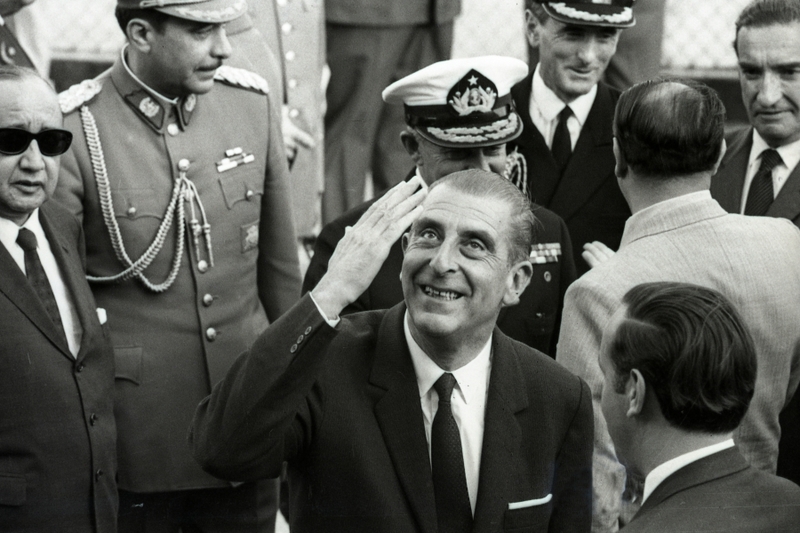 After sixteen years of pursuing an indictment of regicide by poisoning of ex President Eduardo Frei Montalva, the finding in the first instance (two higher levels of appeal await), is that the conditions for a poisoning by a murderous secret intelligence branch of a harsh dictatorship existed at the time of Frei’s death, and that Frei, having been surveilled closely by supposedly loyal friends and fellow opposition members in concert with the dictatorship, could have been poisoned by these forces. After all, the intelligence forces of the dictatorship were increasingly involved in developing and using highly toxic substances like Sarin to silence their enemies. But the judge admits in his finding that he could not prove that toxic materials had been injected in the body, and if they had been, too much time had passed and the materials would have dissipated, or they may not have been enough to cause death. The judge also admitted he did not have evidence to determine who actually poisoned Frei, so no one was actually accused of this. Nor did he have evidence of premeditation or some sort of instruction or order or plan to assassinate the ex President. So, he was left to propose what in the US system might be called involuntary manslaughter, which is why his suggested penalties for the accused are very low; the maximum penalty is ten years, most are less. The accused will all appeal, urged on by the flimsy, mostly circumstantial, evidence produced in the investigation. One commentator has pointed out that this case is almost entirely playing out within the Christian Democratic party. Most of the people involved were family, friends, and confidants of Eduardo Frei Montalva. Even the head of the Chilean secret intelligence service, CNI, at the time of Frei’s death, was an army general who had been close to Frei, who served as his presidential edecan (military aide, usually seen standing behind the President in most public appearances) when he was president. The Catholic University, very much a stronghold of Christian Democrats in the past and Eduardo Frei’s Alma Mater, is surely anxious to repair the damage to the institution from differences with the Frei family and others as a result of issues involving their doctors and the role the University played over the years regarding the investigation. This case brings to mind the US case of the murders of Nicole Brown Simpson and Ron Goldman. Everyone thinks they know who killed them. Only one person really knows, and he’s not talking. Will Chileans ever know for sure how the greatest Statesman President in Chile’s recent history died? Probably not. Will they care if it cannot be proven? N0. Do most Chileans think they know how Frei died? Yes. In most people’s minds “the glove fits”. Posted, sadly, on February 20, 2020, in Santiago, Chile. Thanks, Dave. One can only hope that Chileans can successfully address these issues and heal old wounds. Hi Dave.. I’m really glad you are again around in Chile for our summer time.. Its always an opportunity to meet and chat of some old professional memories and more actual views of our own lives, forests, environment, climate change and on other World current situations. As usual this last issue gets to the point clearly or, as clear as it can be.. As easy to understand. even the Judge couldnot get deeper. “The initial surgery was considered a success and, after a few days, Frei was discharged to continue his recovery at his home. However, Frei began experiencing fever and pain a few days later and was readmitted to the Santa María Clinic on 4 December. After a complete check, he was diagnosed with an intestinal occlusion and a partial necrosis of the small intestine. He underwent a second (corrective) surgery on 6 December, this time performed by Dr. Patricio Silva Garín. 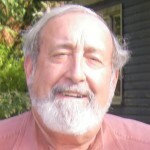 Albert, a loyal reader of daveschile.com and member of the same group of Peace Corp volunteers sent to Chile in 1967, reminds us that US president JF Kennedy was of a similar popularity, a type of “counter part” to Eduardo Frei Montalva in Chile. He too gave us hope for a better future; the circumstances of his death through assassination were also subjected to unending questions and debate. Equally sad. One hopes that, despite the still-unresolved cloud surrounding Frei’s death, his legacy as a forward-looking politician, who was able to represent the aspirations of many Chileans and implement programs and policies while he was President that began to address these issues within the existing democratic political framework, will serve to inspire current and future leaders to emulate his efforts in a similar fashion. Dave, let us not forget President Frei’s strong dedication and deep devotion to improving the living conditions of Chile’s urban poor through his massive CORVI and CORHABIT low-income housing programs, which brought our urban group to Chile. Absolutely; for a few years during his administration, the self help housing program of the US Peace Corps was exemplary in its implementation precepts that community decision making and local resource mobilization was the basis for sustainable development. Gracias Dave una vez más por refrescarnos la memoria. Me gusta que tantos ex peace corps te contesten, así me siento más cerca de mi historia. Un abrazo, ya hablaremos en vivo y en directo. Good job Dave. I thought Bernardo Zentilli’s comments were on target, along with those of Lee, John and William. Thanks for keeping the rest of us, not so directly associated with Chile as you are any more, informed about current events. If I am correct, right at the beginning of Pinochet’s coup there was horrendous violence,many arrests and subsequent murders. Remember all the people put into the estadio to await their fate. (per the movie Missing). The nature of Pinochet’s regime was apparent right from the start. Why did it take Frei so long to start to speak out? I can certainly understand his fear of speaking out. Yet you suggest that he was in the beginning tolerated by Pinochet and therefore in a sense he was colluding with and condoning Pinochet’s regime. This would seem a bit short of heroic status. Thanks for your posts and it was nice to meet you in Maine in 2017. I can’t speak for everyone who holds Eduardo Frei Montalva in high esteem, but in my case, it is because of what he did and tried to do when he was President 1964-70; a turnaround moment for the country, and generally for the best. How different folks, leaders and all, comported themselves during the dictatorship is a complicated mix of how they felt about the country under Allende’s Unidad Popular government, how they weighed their own personal influence in bringing change in the face of a brutal dictator, and a measure of self preservation. Tough to judge, but everyone does. Welcome to the discussion. I remember standing in the plaza of the Moneda with 000’s of campesinos as Frei signed the Reforma Agraria. I still have a picture of that signing. It was high hope time. At a recent program on Chile @ UC Davis (which has 2 or 3 young Chile scholars) it was noted how the CD gov was active in political organizing the campesinos. 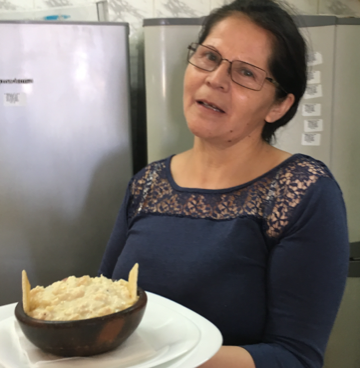 Those of us in comm dev work remember working with comites de pequño agricultores, all CD creations. Frei was a quiet hero and I thank him mucho for his support of the PC in Chile. It changed my life, that is for sure. Thanks for your comments, and for reading the blog. And please, share commentary on your work related to Chile. Daveschile.com loves the views and experience of others. You and I met at the WDC Chilean Embassy many years ago. I was a Chilean PCV from ’62 to ’64. I am not sure that I comprehend your allusion to the death of Allende. Do you believe – as do I – that Allende committed suicide? John, Let me try to restate, a bit clearer, what I had in mind with this comment. I believe most Chileans accept that Allende probably killed himself. And since it appears this theory fits best with how Allende supporters and others want to see him in history, and since Allende relatives, Communist and Socialist party written histories agree, it is generally accepted. However, it is common to hear from folks of all stripes that Allende was murdered. Now, to my point in the blog: These folks who are inclined to still believe Allende was murdered by Pinochet’s troops as they stormed the Moneda government palace are also the folks most inclined to believe Frei was assasinated. They can not at the same time state that Eduardo Frei Montalva, if assassinated, was the FIRST “regicide”. Allende would have been the first. That’s all. Maybe just a detail. Do YOU believe the investigations have proved Eduardo Frei Montalva was assassinated? Dave: My sombrero if off to you for resurrecting the ghost of Eduardo Frei. That most folks in Chile or elsewhere don’t remember his historic relevance doesn’t surprise me. What continues to amaze me is the malefic power of men like TRUMP, Hitler, Maduro Ortega and , indeed, Pinochet , who. Were/are determined to destroy masses of people and entire countries. What makes our brains highhlight their evilness more clearly than the goodness of folks like Eduardo Frei?